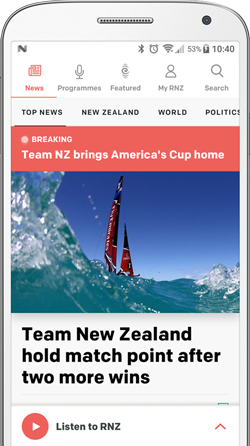 Team New Zealand managing director Grant Dalton says there are still hurdles facing another America's Cup challenge, despite the Government pledging its support. At a tribute to the team on Auckland's waterfront on Friday afternoon, Economic Development Minister Steven Joyce said that the Government wants to be a part of a future America's Cup challenge. Mr Joyce made his announcement to cheers from the crowd, telling the sailors to bring him a proposal. Grant Dalton said it was great news but it would not guarantee another challenge. He said if it came to pass it would be amazing but there were still massive questions to be addressed such as how the team goes forward, what it should look like, who should be involved and where the rest of the money should come from. Grant Dalton said he was amazed and humbled by the welcome reception the team has received in Auckland. Despite losing the final to Oracle Team USA, about 3000 people lined the city's waterfront to cheer on the team as they were taken on a sail-by of the wharves. Earlier Shed 10 on Queen's Wharf was packed with about 1000 fans wanting to show their support for Dean Barker's side. Grant Dalton said the team had seen an outpouring of support from the public since it arrived back from San Francisco. He said not winning the America's Cup was still gut-wrenching, but he would remember today for the rest of his life. Skipper Dean Barker paid tribute to the team members' families and all their supporters describing the level of support for team as 'truly remarkable'. Auckland mayor Len Brown said the team represented the country superbly, showing skill, honour and integrity. Some fans said they wanted to turn out to show their support for the team after they put up a good fight against Oracle Team USA. Others said they thought it was important to welcome the team back to try to keep the enthusiasm for the sport rolling over to the next competition. Earlier Mr Brown said there had been overwhelming feedback from residents that they want to acknowledge Team New Zealand's effort in the Cup challenge. 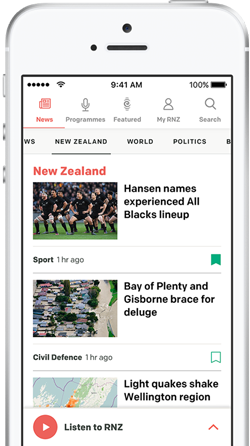 Mr Brown told Radio New Zealand's Morning Report programme on Friday the team brought the country together, and if there's another bid for the Cup in the next competition, the city and the council will be right behind them.